Looking for a relaxing vacation along the Alabama coast Welcome to Ono Island in Orange Beach, Alabama. 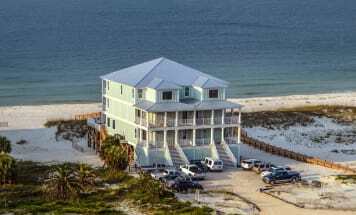 Emerald Coast by Owner offers you a large range of properties for vacation rentals! If you want to go parasailing, golfing, deep sea fishing, boat touring, paddle boarding, or just set up a chair and relax in the sun! After a long day though I’m sure you’ll need a meal or two. All around the area are delicious food spots, mostly specializing in seafood and providing you with an awesome view of the ocean while you eat your meal! Some great places to try down here are Mikee’s Seafood and The Gulf Island Grill. You won’t regret a meal at either of those places! So stay at Casa Del Marina this year, it’ll be a trip a to remember! Emerald Coast by Owner is pleased to bring you the best Vacation Rental Properties by Owner on Ono Island and more! Browse our listings and book online today! When you book with Emerald Coast by Owner, we make it easy for you to choose where, when, and what you want to do on your trip. Contact us with any questions and be sure to book direct with the owner today!